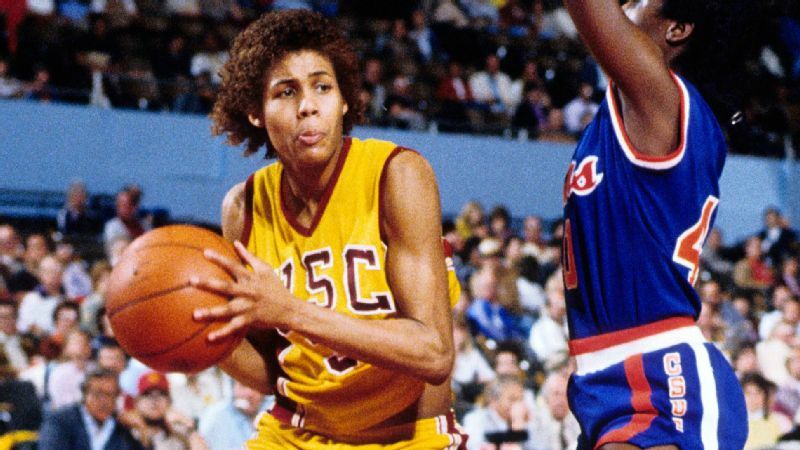 In honor of Women's History Month, espnW is running a weekly personal essay on influential female athletes. At the school library, there are huge posters of Kristi Yamaguchi balanced on the toe picks of her skates, holding a book. "READ," the poster proclaims. 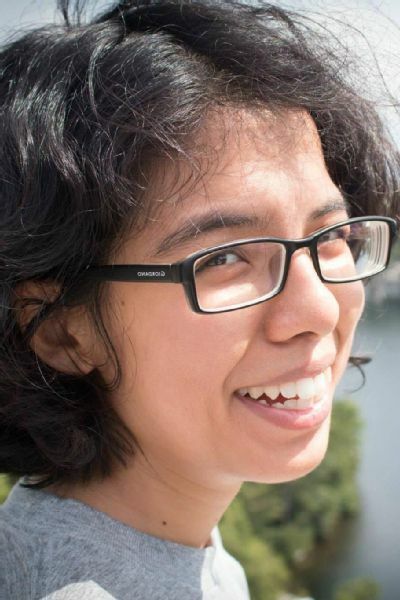 She is so cool, librarians think she'll convince kids to read. 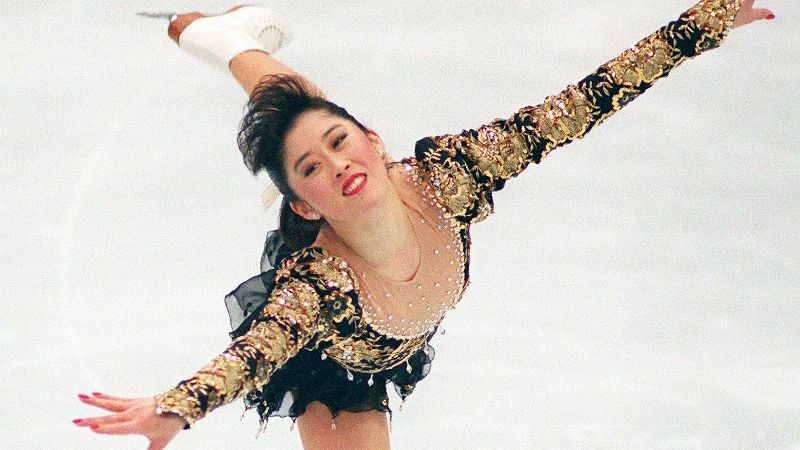 Everyone at school knows who Kristi Yamaguchi is. On ice she is magic. Her skates slash the rink, her arms beckon, light dances on her glittering costume. She glides forward, she leaps and the world pauses. She lands, catching her breath. There is silence. The audience explodes in applause. You are 5, and you don't understand how anyone could move so perfectly. A few years later you read in a book that Kristi Yamaguchi was born with turned-in feet. She learned to walk wearing casts with iron bars. You would never guess that she started ice-skating as physical therapy. You are in need of treatment yourself. You have asthma, you spend a lot of time sick in bed. Your mother brings home books from the library about athletes and you read them all: Babe Zaharias, Bonnie Blair and Kristi Yamaguchi. You always return to Kristi Yamaguchi. She has black hair and brown eyes like you do. It's Minnesota. It's the 1990s. You're the only kid with black hair and brown eyes in your grade. Your classmates say your eyes look funny. There's only one other Asian girl in your entire school. Everyone thinks she's your sister. You watch Yamaguchi and you see yourself. It doesn't matter that Yamaguchi is Japanese-American and you are Chinese-Indian. You see so few Asians in books and magazines, you know so few Asians in real life, the country borders don't even matter. Asia is considered one country. Sharing the same continent, the same hair color, is enough for sisterhood. You watch Kristi Yamaguchi skate, your heart in your mouth, and you promise yourself, one day you will appear in magazines and books too. Maybe not on the covers. Maybe inside the covers, because you've moved on from reading in bed to folding books out of paper and filling them up with stories about skaters. You are going to work hard, and you are heading to places, you decide. Your father warns you that life will not be easy. From time to time, he says this, when he is in a bad mood. He came to America with dreams of becoming a scientist, of working as a professor, of winning prizes, but not all of them came true. He will tell you, there were no other Indians doing what he wanted to do. He will tell you America makes promises about opportunities, but America doesn't always keep them. Kristi Yamaguchi's grandmother was sent to a Japanese internment camp during World War II, you read. Her mother was born at the camp. You are not Kristi Yamaguchi. You are shy and awkward. In school you have your good and bad days. Good: the teachers think you write well. Bad: your teacher thinks the essay you wrote about your grandmother belongs to a different author, did you really write that? Be honest. You worry that your dreams are too large to fit the size of your talent. You don't look like what a writer is supposed to be. You keep viewing old video footage of Kristi Yamaguchi skating at the 1992 Olympics. Wrapped in black and gold spangles, she skims across the ice in long swooping loops. She dances and floats on air. She spills out of her rocketing spin, puts her hand out, touches the ice -- then floats back up and keeps skating. You can imagine how the story might have ended: her face crumples, she gives up and goes home. Everything is over because she was not perfect. Instead, she wins the gold. She becomes an American legend. You watch this and you dream.